The enclosed pictures are of a 1/4 scale Audeen. 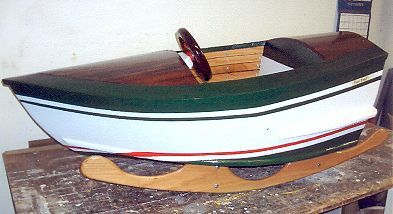 The full scale was completed in 1988 as shown in the Glen-L Customer Photos (without rockers). Photos of my IMP and Topper are also displayed. 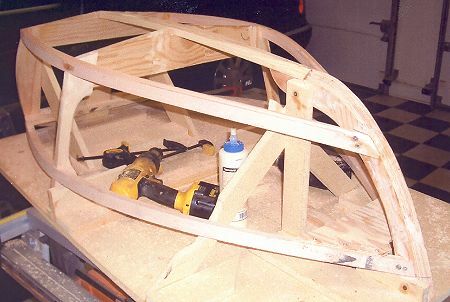 The frame of the 1/4 Audeen Rocker is 3/4" ash. 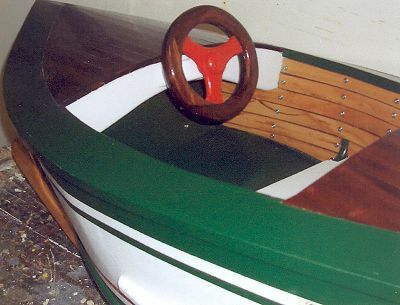 The decks, transom and steering wheel are mahogany. The cockpit 1/8" coaming trim and 3/4" rockers are red oak. 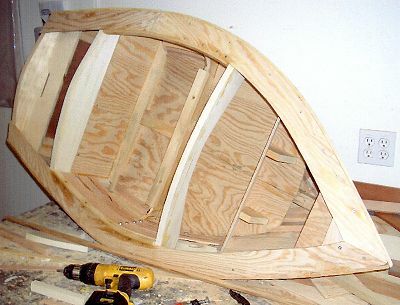 The outer hull hull is 1/4" marine plywood. 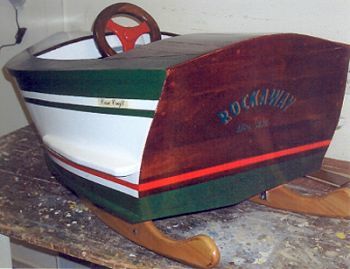 My 11 month old grandson has already enjoyed his role as captain of the "Rockaway".